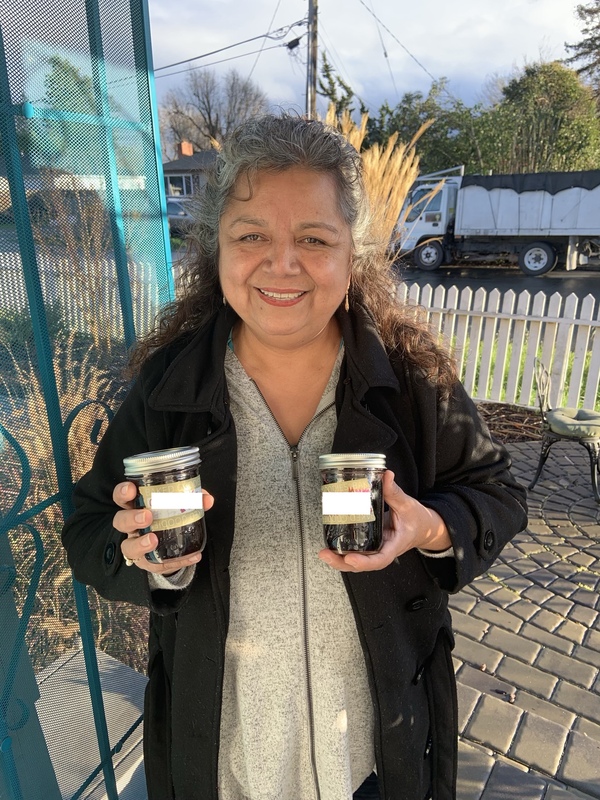 My friend Jen makes elderberry syrup and she sent me two jars today, delivered by a dear friend of hers who lives near us. Full of light and love, Eve was a wonderful burst of kind energy at our door. We met as strangers and parted with a hug. It was a joy to chat with her and we are so grateful for the syrup delivery! May it keep us healthy this flu season! Today’s #OneGoodThing was meeting the sweetest stranger at our door with Mama! What was your #OneGoodThing today? Please share in the comments! Day 35 of 365. And Day 1,131 in a row (here’s the first 366, & the following 365, & the third year of 365 good things)!